Among the pearls of wisdom conveyed in Ecclesiastes is that everything has its time. The founders of the United States drew up a Constitution to serve as an operating manual, in its checks and balances, for peaceful, deliberative government. They understood human nature and set up a system in which competing interests would have to give in. Compromise, they understood, is a necessary lubricant for the wheels of government “of the people, by the people, and for the people” to turn and allow us to move forward. But compromise is meant for those competing interests — not for the core principles of the country that the Constitution exists to protect and secure. When the principles of our free nation under God are under siege, it is a time for confrontation, not compromise. The other day, I watched a short video of Rafael Cruz’s presentation at a July event by FreedomWorks, a Washington, D.C.-based political action committee that usually supports tea party causes. Cruz is the father of the junior Republican senator from Texas, Ted Cruz, who is now in the spotlight. Rafael Cruz is a self-made businessman, an immigrant from Casto’s Cuba, and a born-again evangelical Christian pastor. Take a walk around Washington any evening. The fancy restaurants are filled with lobbyists and legislators. Try to find anyone who would pledge his or her life and fortune for anything. The American government is no longer about doing the business of the people while preserving and protecting the principles of a free nation. The principles of freedom have been drowned out by the power elite — whether politicians, big business lobbyists or big media — who use their influence to feather their own beds. A Jeremiah-like Ted Cruz, ringing the alarm that things are not OK, is an annoyance to the comfortable establishment. As the class of “haves” protects its interests, it assures a dismal future for our young and for our poor. Its members play while the ship sinks. There is no more powerful predictor of economic growth and prosperity than a nation’s economic freedom. The just-published “2013 Economic Freedom of the World Report” shows that the United States has dropped from being the world’s second-most economically free in 2000 to number 17 in this year’s report. The report comes from the Fraser Institute, a Canadian public-policy think tank. Our economic arteries are clogged because of excessive government, which is dragging us down and ruining everything that made America great. The Affordable Care Act is just the latest huge incursion into the freedom of American citizens in a long process of deterioration. Every year, the trustees of Social Security and Medicare provide a report showing the dismal financial state of these huge entitlement programs. And every year, the political class in Washington ignores it, not having the courage to fight for real change, while things continue to worsen. Now big business, unions and Congress are getting themselves exempted out of Obamacare, ready to leave the rest of country to be shepherded into socialized medicine. But Sen. Cruz, like his brave father Rafael, is putting his life, his fortune and his sacred honor on the line to save our beleaguered country. When Abraham Lincoln took office, he still believed that slavery could be purged from America through deliberation. But soon it became clear that only war would do it. America must stand by Cruz and other brave tea party Republicans who understand the message of Ecclesiastes: that there is a time for everything, and that today is the time for confrontation. 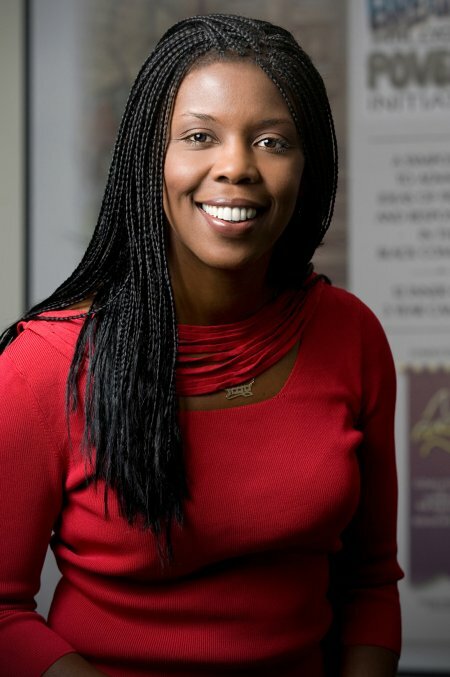 Star Parker is founder and president of CURE, the Center for Urban Renewal and Education, a 501c3 think tank which explores and promotes market based public policy to fight poverty, as well as author of the newly revised Uncle Sam’s Plantation: How Big Government Enslaves America’s Poor and What We Can do About It.